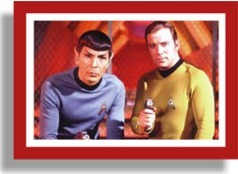 Unbeknownst to many people, I have a great idea for a Star Trek episode. It’s called, “The Lawyers.” In the show, a distant planet sues the residents of Earth for stealing one of their stars. Innocently enough, a husband “bought” and named a star for his wife on her birthday. Unfortunately, that star belonged to an alien husband who bought it for his alien wife. Things get very heated until the judge realizes that the lawyer for the Earth husband (we will call him Ed) made a mistake in the paper work, instead of buying the star he thought, he actually bought the star next to it. Don’t you hate it when that happens! The judge dismisses the case and the wife, out of feelings of being deceived, gets a divorce. -------------------------------- Sci-fi, fantasies and various other distractions, are only meaningful because they are an escape. But there is a better way to enjoy life and get the relief from misery. I am really not a cynical capitalist. Greed won’t get you anywhere good.Think of money like wine. If you know what you are buying you can have a really good time, but if you don’t you can end up with vinegar and heartburn.It’s fairly easy to have money, but wealth is a skill. I would hazard to guess that more people want to be rich than just about any other goal on this planet. The obvious question is, why does it evade so many? The answer is the subject of an endless number of books, seminars and websites. Many careers and fortunes have been made just trying to answer that question, correctly or not.Let me see if I can add something to the debate. In my opinion, the primary reason for failure is a poor definition of wealth.As obvious as we think it is, wealth evades people for the simple reason they start with an unclear definition of what it means.Believe it or not, money and wealth are NOT the same thing. 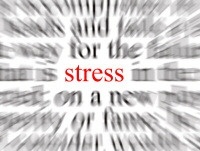 Stress comes in two flavors.The first is simply overwhelming: blinding headaches, palpitations, maybe even a stroke. This is the kind that makes it into the medical soap operas. The second is the tension you take home from work, the worry that nags in the background: "What if the check bounces? Does the new boss like me? The mortgage comes due when? "On the surface the first kind might seem worse, but when we think about it, we all know that's not true. My friends, we have been mis-labeled! Despite what Shakespeare said, humans don't "be" very well. "To be or not to be?" isn't the question. We are not "Human Be-ings. "Let me explain. Look at the problems facing us and the world, war, poverty, terrorism, financial crisis, the list goes on...There are no shortage of organizations that are attempting to solve these mammoth issues. Many, if not most are doing a noble job and have made a significant impact. So, if you want to make a real difference, where do you start?My Rabbi, Rabbi Weinberg tz'l once asked, "What is the most dangerous disease in the world? ""Ignorance," he replied.And what is the greatest ignorance? Despite what ABBA may have proclaimed, it’s not a rich man’s world. Curtis L. Carlson, the owner of the Radisson Hotel chain who had 150,000 employees and $20 billion in annual revenue, said: ''There's nothing people like me worry about more, how… do we keep our money from destroying our kids?'' It’s hard to appreciate this point if you don’t have that kind of wealth, but this kind of worry is worse than anything you might be going through with making ends meet. The rich man's worry has no respite. It not only applies to his or her children, but flows down to their grandchildren. On the other hand, your worry about paying the mortgage will one day end -- hopefully happily. A rich man once told me, “Anyone who thinks wealth is easier than poverty, never had wealth.” I don’t want you to think that Judaism aspires to asceticism -- far from it. Money is a blessing. But all blessings are burdened with risks that are as great a danger as they are a blessing. The problem every rich parent has is their child thinks if you loved them you would make their life easy. “If you don't watch out, you can set up a situation where a child never has the pleasure of bringing home a paycheck.” T. Boone Pickens Jr. Let me explain.